In March 2010, Oman Air became the first airline in the world to offer both mobile phone and Wi-Fi Internet services on selected routes! Make use of exclusive privileges and rewards with the Sindbad loyalty programme. Feel like royalty when you fly in Oman Air’s distinguished aircraft, ensuring you comfort throughout your journey. Oman Air has scooped an impressive array of awards over the years, including Best International Airline Award 2016 and Best Economy Class Airline from 2013 - 2016! From merely providing ground services for larger airlines to becoming the world’s first airline to introduce mobile and Wi-Fi services on board; Oman Air has surely come a long way. Oman Air is the flagship company of the Sultanate of Oman Civil Aviation Sector and is Oman’s national carrier. The airline started operating in 1993 and has witnessed rapid growth since the time it was established, establishing its Oman’s capital, Muscat, as a major Middle Eastern traffic hub. At France’s Laurier d’Or du Voyage, Oman Air won the Gold award for the “Airline of the Year” and the Skytrax World Airline Awards for Best Business Class Seat (2012) and Best Airline Staff Service (2014, 2015). Oman Air strives to make flying with them a pleasant experience through enhancing their products in terms of convenience, efficiency and service. It also maintains internationally recognized standards of quality and safety. Muscat International Airport is home to stunning new First and Business Class lounges, featuring complimentary spa treatment and à la carte dining options. Book Oman Air flights to Dubai, London, Muscat and other exciting places! Economy Class – 2 pieces with a combined weight of 30kg. First & Business Class – 2 pieces with a combined weight of 50kg. Economy Class - 2 pieces with a combined weight of 50kg. First & Business Class – 2 pieces with a combined weight of 60kg. Passengers travelling with infants are entitled to 1 extra piece of luggage weighing 10kg. Hand luggage is restricted to 7kg, with bags not exceeding dimensions of 24cm X 41cm X 51cm. Please remember your Travelstart e-ticket, as well as your passport and relevant travel documents. Oman Air check-in generally opens 8 hours prior to departure from Muscat International Airport. Make sure you have checked in no later than 60 minutes before departure and that you will arrive at the gate and be ready to board around 45 minutes prior to the scheduled departure. Gates are usually closed 20 mins before the flight. Online check-in is available for confirmed bookings from 24 hours up to 90 minutes before the scheduled departure time for all passengers travelling with electronic tickets, while counters close 60 minutes prior to departure. Passengers should check in no later than 3 hours before scheduled departure time. Check-in counters close 60 minutes prior to departure. Economy Class passengers can enjoy ample leg and elbow room, and adjustable head and leg rests. 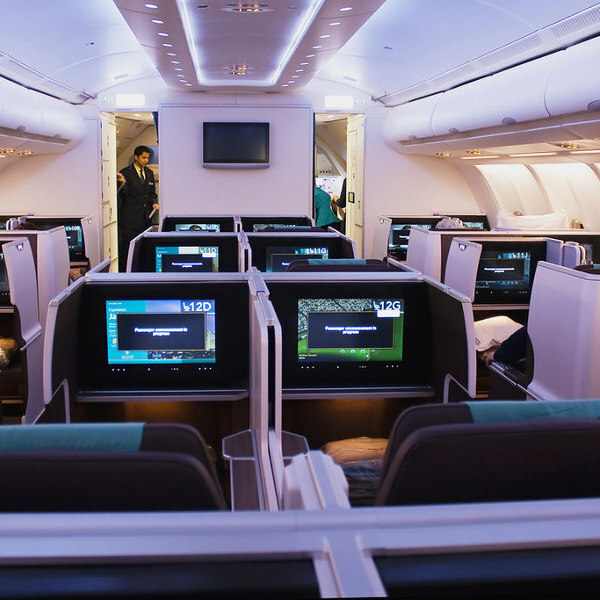 Oman Air’s Business Class seating is second to none. With spacious leg room and storage compartments, you’ll be more than comfortable on your flight. The airline’s First Class Mini Suite provides each of its six First Class passengers with aisle access and seats that convert to fully lie-flat seats. 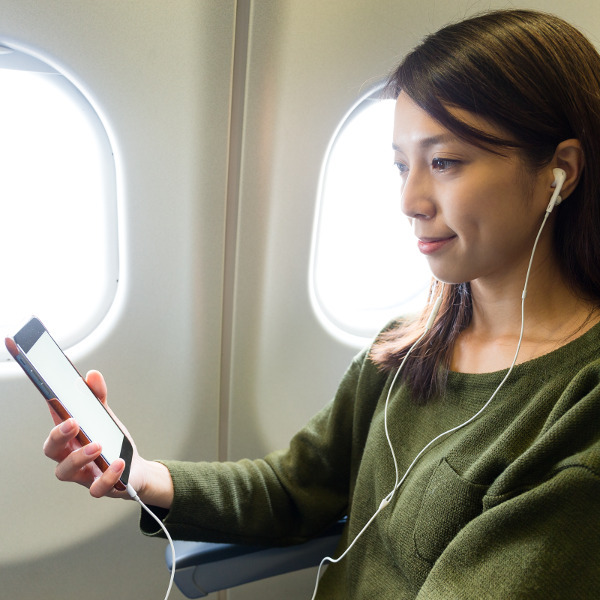 Sit back and relax through your journey with a broad range of inflight entertainment options, including the latest Arabic and international movies, TV shows, audio books, music and games. Wi-Fi is available throughout all three cabin classes. Oman Air’s inflight dining experience is world class. Premium customers are treated to modern and traditional fine dining with award-winning wines and refreshments to compliment your meal. 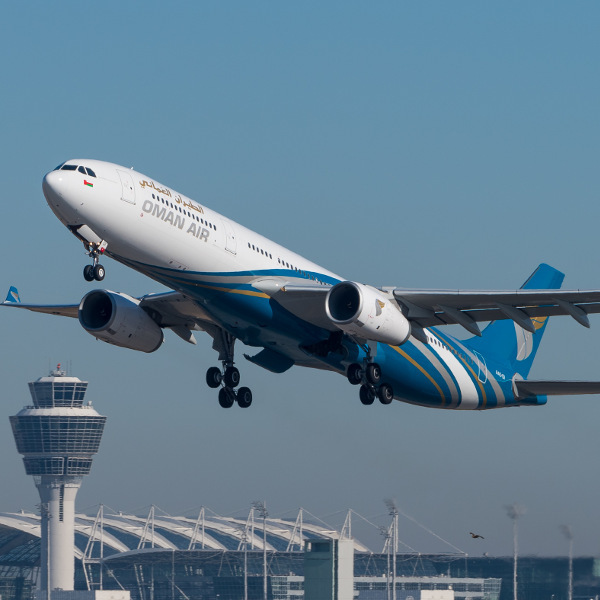 Oman Air boasts an impressive fleet of 68 fuel-efficient aircraft. As of April 2015, Oman Air began operations in a network of 46 destinations in 27 countries out of its primary hub in Muscat. While the airline services 11 destinations in India, it also flies to Europe, Asia and Kenya.